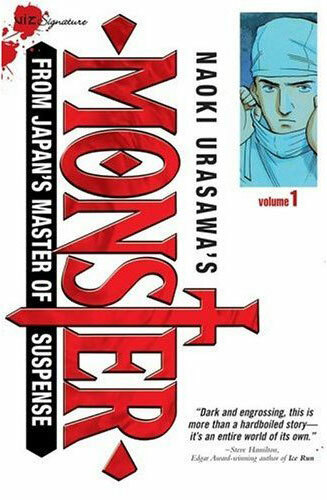 When it comes to classic manga series, Monster immediately comes to mind. This psychological thriller from the 90s embodies the ability of the medium to tell mature, horrifying stories for older readers. Kenzo Tenma is a talented surgeon. With a beautiful fiancé and a prestigious position at a hospital in Germany, everything is going great for him. One night, the hospital gets two critical patients: a dying child who arrives first and a politician. When he saves the life of a child in danger rather than a prominent political leader, he loses his job and his fiancé. Tenma’s choice to attend to the first patient rather than the politician demonstrates the ethics of his professional life. It also sets up the main crux of the series. Tenma’s life is intertwined with the child. He learns years later that the child is a psychopath and a murderer. With his professional life over as he knows it, Tenma hunts down the killer and tries to right his wrongs. Monster hits you hard with ethical dilemmas. 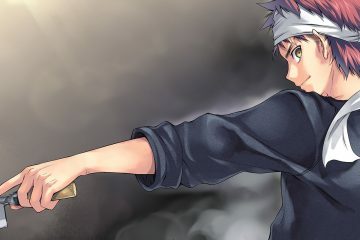 If Tenma had saved the politician rather than the child, many lives would be better off. Tenma had no way of knowing how the child ended up in the hospital, and he may have done the same thing regardless of outcomes. Themes of religion and saviors creep through the series as well. If you want a more in-depth (still not too spoilery) look at the first Perfect Edition of Monster, check out a review I wrote! One of the great things about classic series like Monster is that they are available. In addition to the original English volumes, a new Perfect Edition of the series is currently in production from VIZ. The third volume recently came out, and fourth volume is up for ordering from the Publications magazine. The new editions are incredibly well done and worth the investment if you are looking for a realistic horror/psychological thriller.